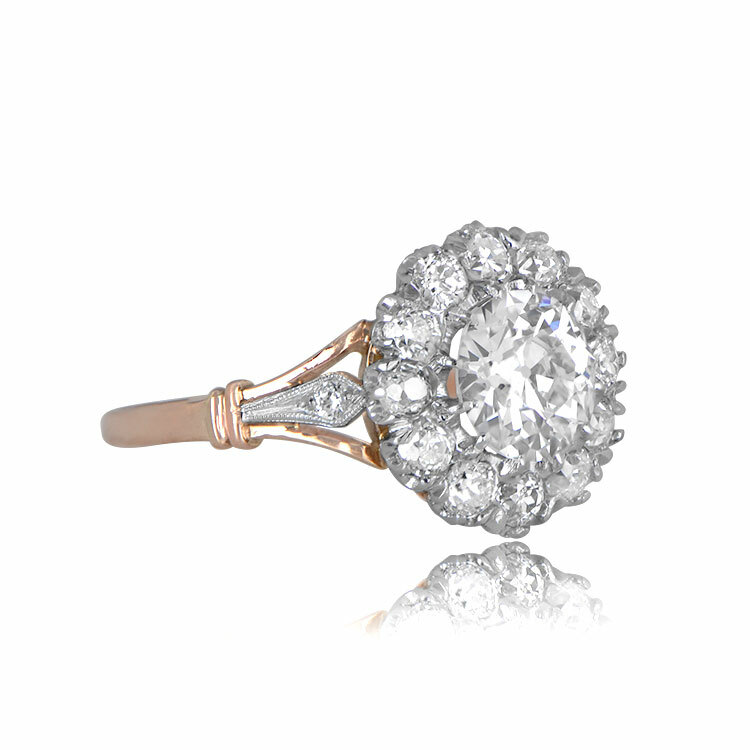 A beautiful cluster diamond engagement ring that centers a GIA certified 1.08 carat old European cut diamond. 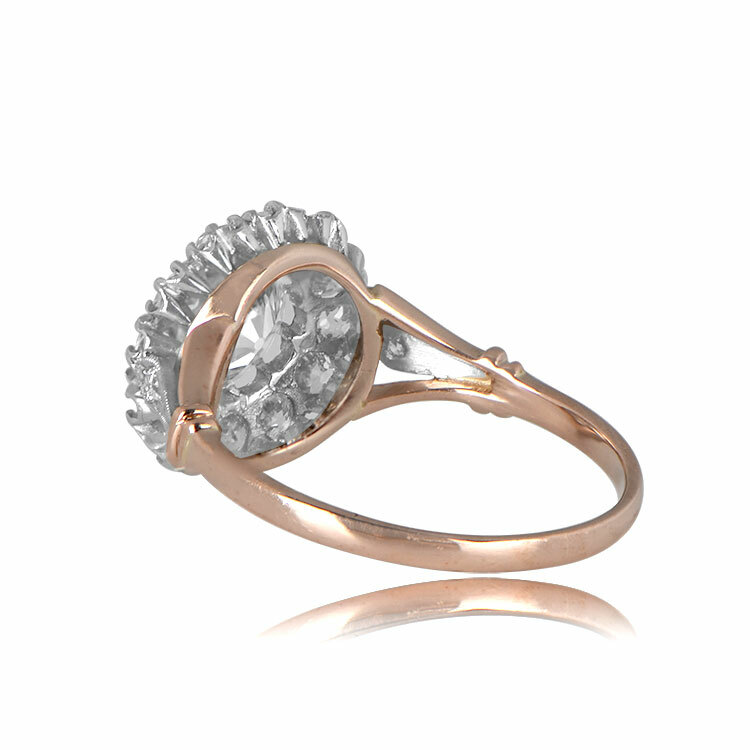 Surrounding the diamond is a cluster of old European cut’s. The center diamond is an I color and VS2 clarity. 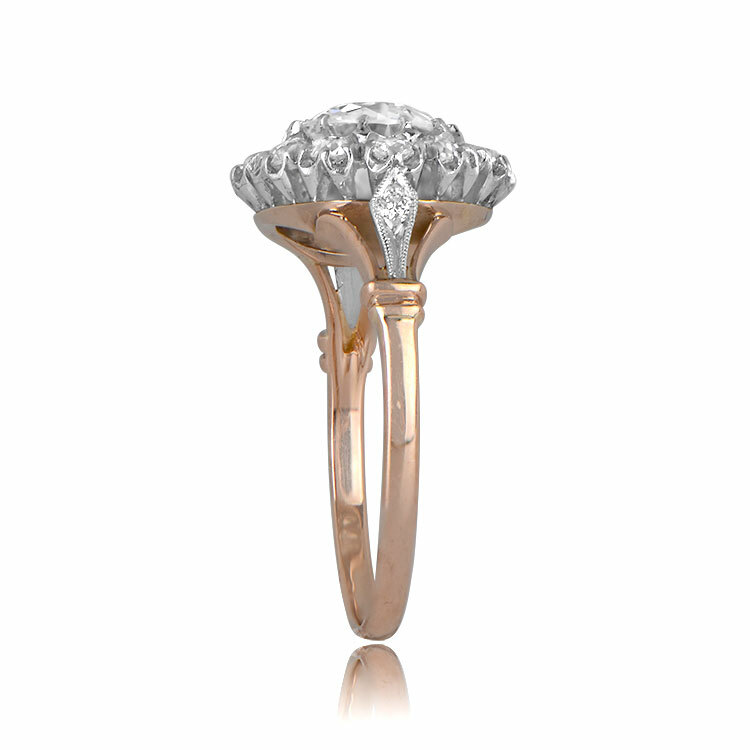 This ring is entirely hand-crafted in platinum and yellow gold with a stunning patina. 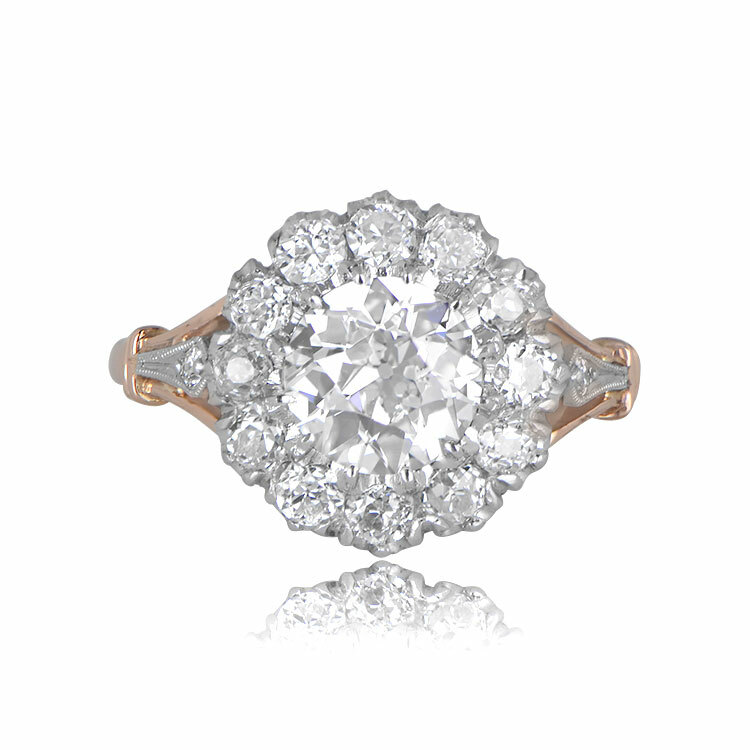 The total approximate weight of the additional diamonds is 0.76 carats. The measurements of the center diamond is 7.32mm x 7.30mm x 3.75mm. 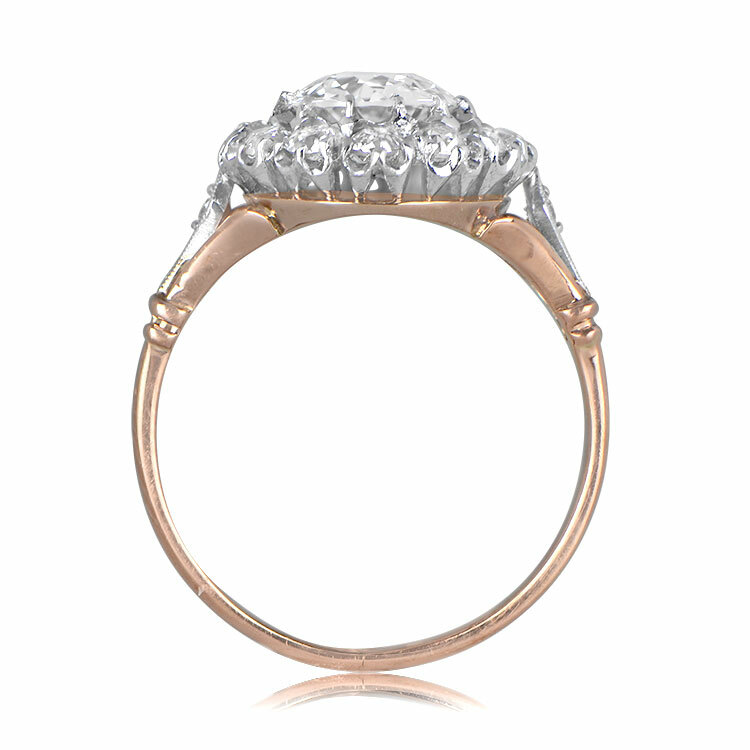 The measurements of this ring with the cluster is 12.44mm x 12.36mm. This ring has a low profile. A copy of the GIA certificate is available upon request. 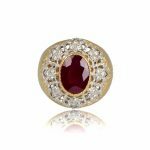 The current size of this ring is 6.25 and can be resized to any size at no extra cost. 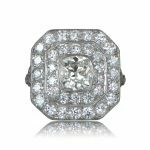 SKU: 11963 Categories: Old European Engagement Rings, Vintage Engagement Rings - Contact us and request additional pictures.